So, your company is growing at a rapid pace and you’re beginning to expand your business into Canada. Congratulations! That’s great news. Business growth is the goal for every company, however sometimes it happens faster than anticipated. Keeping up with new payroll regulations, expansion of HR duties, and Canadian regulations can be daunting and costly. But there is a solution that can help your business continue to grow while you focus on important tasks. It’s called an employer of record. These companies help you organize your HR and payroll administration duties, working completely on your behalf. Keep reading to see how Canadian employer of record services can help your company navigate through this newly found territory. While you focus on growing your business, sometimes HR duties become the last thing on your mind. Between recruiting, hiring, training, and terminating employees, it’s possible the task of managing it all has become too much. You need more time to focus on your business and its goals, and less time spent worrying about administrative duties. With Canadian employer of record services, you’ll be able to hand off these administrative tasks confidently. All HR responsibilities will be handled, leaving you to sit back and manage the other aspects of your company with ease. This improved process will help your company expand into Canada, while you continue to take control of things back home. 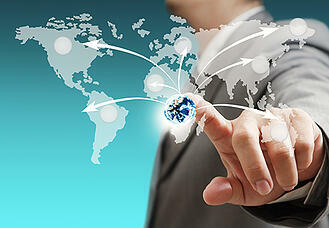 Staying on top of another countries rules and regulations adds a handful of duties and education to your plate. If managed incorrectly, you can be left in an expensive situation, facing multiple lawsuits and expensive fines. For example, submitting your payroll data to the CRA (Canadian Revenue Agency) late, even by three days, can leave you responsible for late filing fees. And that’s one of the smaller legal responsibilities. It’s a mistake you don’t want to make, especially as your company tries to grow. Avoid the hassle and stay on top of things by working with Canadian employer of record services. Keeping track of all important dates, legal regulations, and taxation policies are just some of the many benefits these professionals provide. Expanding into Canada can seem intimidating, but working with an EOR helps you streamline the process and avoid mistakes. Establishing your business on new soil can be a slow process. For some companies, it can take years to get their company functioning in Canada. Without knowledge of the country and its regulations, getting things moving is inevitably slow. Avoid the painstakingly slow process and consider Canadian employer of record services. These professionals take care of all the tasks involved with breaking ground in Canada, like employee recruitment, payroll, and staying up to date with regulations. This saves you time, allowing you to focus on the other aspects of growing your business. If done correctly, expanding your business into Canada can be an extremely smart move. In fact, in 2014 Canadians spent $22.9 billion dollars in ecommerce sales, and the numbers are expected to rise. 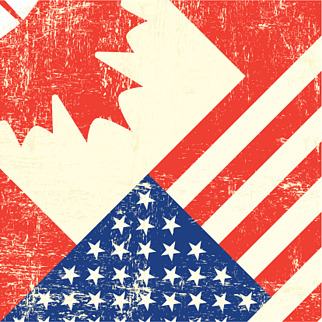 With audiences very similar to the US, Canadian consumers can become the perfect target audience for many American businesses. However, setting up a business in Canada can be incredibly expensive. The cost of hiring and training employees alone costs thousands of dollars. Not to mention any fees associated with errors in payroll or CRA mishaps. It seems like there’s a lot of room for costly errors. 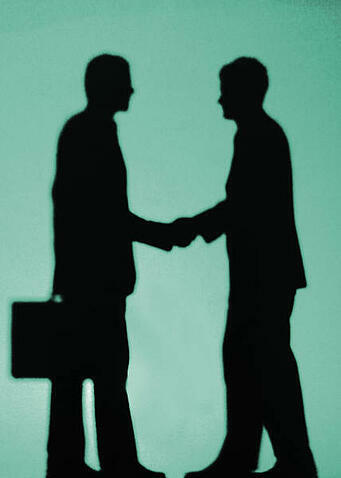 Canadian employer of record services help you save money as you expand your company into Canada. From keeping up with regulations, training employees, and handling all payroll functions, working with a EOR might be the smartest investment you can make. Although you may think you’re paying your Canadian employees legally—you could be wrong. International companies often believe their payroll practices are on the up and up, but without proper experience and expertise in Canadian payroll legislature, they could be partaking in illegal activities. It’s not so easy to pay Canadian workers—you can’t just convert funds to Canadian dollars and mail out cheques every couple of weeks. There are laws to follow, employee classification to figure out, and taxes and other deductions to consider. To ensure you are paying your Canadian employees legally, check out your three options below. International companies can choose to take on the responsibility to pay Canadian workers on their own. Though this is a fair option to choose, it takes considerable time and effort and is usually the reason that workers aren’t paid legally—either because of a lack of knowledge or because employees want to ignore the law. 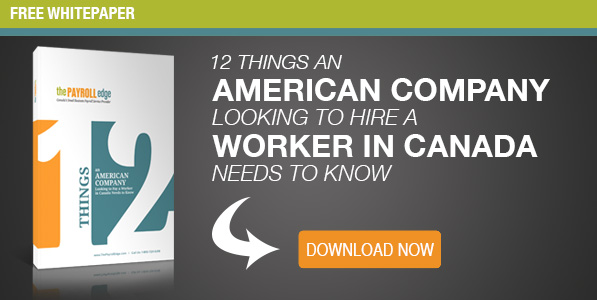 If you are serious about paying your workers legally, you’ll have to learn the ropes. The Canadian legal system related to payroll is complex, ever changing, and often confusing. Not every law applies to all international companies so you’ll have to be able to decipher each law and understand whether or not it applies to your type of business. Additionally, the legislature changes depending on where your Canadian employees are working—each province has its own regulations. If you want to learn the ropes and get the experience and knowledge you need to legally pay your workers in Canada, it’s quite admirable, but it’s going to be more difficult than you think. The legislature, taxes, deductions, remittances, and deadline all differ from those in your home country. Miss even one vital piece of the puzzle and you could be setting yourself up for fines and penalties—not to mention a bad reputation. In short, there’s a lot to learn, and you’ll have to learn it quickly—before you hire and pay your first employee. Additionally, if you’re going to handle this administrative work internally, you’ll have to establish a presence in the country, and set up the appropriate government accounts and infrastructure before you even get started. This can delay your expansion efforts considerably. Your second option is to outsource your payroll needs to a payroll service provider. When you take this route, you don’t have to worry about learning the Canadian laws or ensuring that you’re complying with them. The payroll provider can do this for you. Not to mention, the company can do this at a fraction of the time and cost that it would take you to manage payroll, because it already has a team of experts on staff that knows the ins and outs of the business. You won’t have to worry about deducting taxes, remitting payments, filing annual tax returns, mailing pay stubs, or keeping track of benefits, contributions, or vacation and sick days. Choose the right service provider and you can also outsource your human resources administration as well, so your entire business can be more streamlined in the back office. The last and most beneficial option for international companies is to partner up with an employer of record in order to pay Canadian workers legally. 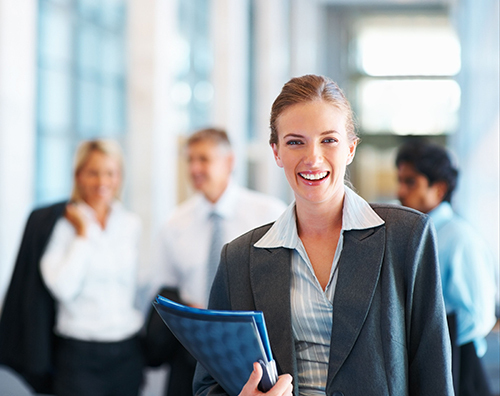 The employer of record in Canada legally acts as the employer to your workers in the country. The EOR takes over the responsibility of dealing with all aspects of your Canadian workforce, including payroll and human resources and all other administrative roadblocks. If you are thinking about hiring Canadian employees, using an employer of record can save you from dealing with a lot of the hassles that come with doing so. From human resources to payroll, it takes a lot of knowledge, time, and resources to handle the management processes that come with hiring Canadian workers. It can free up your valuable time so you can focus on your core business activities without having to worry about managing your new employees in Canada. Here are three things you should know about an employer of record in Canada. An employer of record in Canada is similar to a professional employer organization (PEO)—the term is just lesser known outside of Canada. Essentially, when you use an employer of record in Canada, you are outsourcing your employee management processes. The EOR takes over the legal responsibility for your workers across the border. 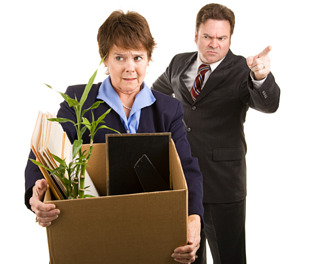 It will take care of human resources tasks like onboarding and termination and health and safety. It will also handle all aspects of paying your workers across the border—from sending out pay cheques and pay stubs to ensuring your remittances are sent to the government on time and that your taxes are filed correctly. Your EOR will also handle all compliance issues with Canadian employment and tax laws. In essence, your employer of record in Canada will take care of all administrative roadblocks so you can have a successful business relationship with your Canadian employees. Payroll processing, human resources, employee training, health and safety regulations and employment laws—these are all necessary responsibilities you’ll have to deal with once you onboard Canadian workers. 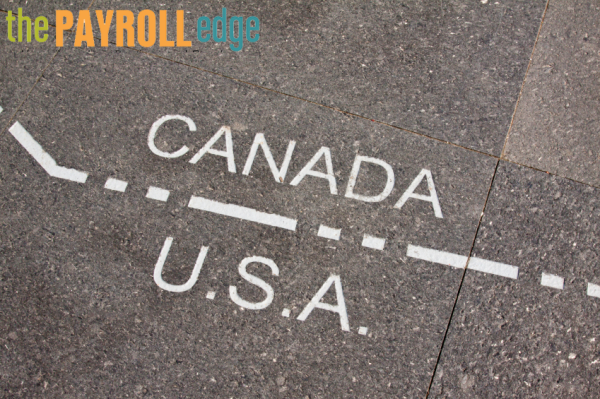 Since the Canadian employment and payroll laws are strict and often confusing, it will take you an incredible amount of time to learn the ropes and get it right. In the meantime, you risk making costly mistakes that can get you on the government’s bad side and lead to fines and penalties. Doing so yourself also means you’re taking time away from your other responsibilities, which isn’t good for business. When you engage an EOR, you save time and money. It’s actually more cost effective to work with an EOR than to get someone to take care of these tasks in-house. Your EOR will already have the training, software, and equipment in place, which streamlines the entire process. The EOR will also guarantee accuracy, expertise, and reliability, which you might not get with an in-house clerk. Your employer of record in Canada will not only support you once you begin to employ Canadian workers, but it will also make it easier for you to hire them to begin with. When you’re considering hiring Canadian workers, you can’t simply offer them employment right from the get-go. You actually have to spend months on administrative hurdles first. You’ll have to set up business registrations, government accounts, and banking and insurance infrastructures before you can even consider hiring. When you need employees across the border immediately, you don’t have the time to handle all of these necessary but complex and tedious tasks first. With an EOR, you don’t have to. The employer of record in Canada takes over the role of employer for anyone you hire in the country—it already has all of these systems in place so you don’t have to meet all these stringent criteria for employing Canadian workers. You can get to the hiring phase much quicker, so you can get to work faster, too. Alberta Employee Vacation & Stat Holiday Entitlement is the third post in The Payroll Edge’s series “Employee Vacation & Stat Holiday Entitlement” where we outline Canadian employment compliance standards by province to assist you in hiring a Canadian worker. American or foreign companies paying Canadians take note: Canadian statutory holidays are paid holidays. As a PEO in Canada, we’re often asked about whether there is stat and vacation pay differences between provinces. Every province has different holidays and qualification rules around paying the employee for the time off. These rules apply to part time, full time, hourly or salaried employees. Public paid holidays and minimum vacation requirements are set out by the “Employment Standards Code of Alberta”. 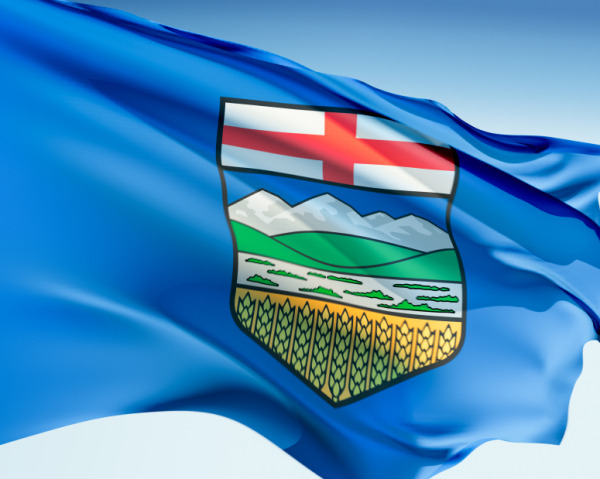 There are numerous rules affecting Canadian employees’ eligibility within the province of Alberta. For instance, in Ontario, Canadian workers are entitled to public holiday pay from day one. Meanwhile, an employee in Alberta must have worked for the employer for at least 30 working days in the 12 months before the statutory holiday to be paid for it. Two weeks’ vacation time for every 12 months worked for the first four years. After five years of continuous employment at one employer, vacation time increases to three weeks annually. Employers can choose to have the employee work for 12 months before granting vacation time but can also choose to allow the worker to take vacation time any time after the employment has begun. Vacation pay amounts to 4% of wages for the first four years of consecutive employment at the same employer and then 6% of wages after that. Employers can choose to pay our vacation pay with every paycheque or to pay out the applicable amount right before the vacation time is taken. Let’s get clear on what “wages” to include when calculating vacation pay before you bring out your calculator. In the province of Alberta there is fewer pay types included and considered as “wages” than most other provinces. To calculate the 4 or 6 % of the previous year’s wages; include regular earnings and commissions. Do NOT include; public holiday pay, overtime pay, bonuses or tips and gratuities. Note that employees are entitled to both Vacation Time and Vacation Pay. Please note Alberta employees working in the construction industry have varied employment rules due to the nature of the industry. Refer to Work Alberta’s website or information on employment standards for the construction industry. There are other industries and jobs that have exceptions to the above rules. Please visit www.work.alberta.ca for further information on Alberta’s Employment Standards rules. View the province of Alberta’s Vacations and Vacation Pay Factsheet here. It can be confusing for American and foreign based firms to learn and comply with Canada’s stringent employment laws that often vary by province or territory. We are a Canadian based Employer of Record service provider similar to a Professional Employer Organization (PEO). Our services include payroll processing for local, American and foreign employers who opt to have us as the “Employer of Record” for their Canadian workers. If you’re thinking of hiring a Canadian worker, contact us before you establish the numerous Government of Canada accounts to begin payroll processing. View our services page for more information on our Professional Employer Organization PEO and Employer of Record EOR services. Unlike the U.S., the workers compensation program in Canada is government run. Every Employer in Canada must register for a worker’s compensation account in every province that they have employees working in. Each province has different rules as far as the registration process. For example, in Ontario you cannot apply for a workers compensation account until you actually have an employee start date, in Nova Scotia you don’t register for an account until you have 2 workers and in Alberta you can pre-register regardless of whether you have employees or not. Each province also has different registration fees and some may even ask for a pre-payment for new registrants. As an employer, you pay a certain percentage in payroll taxes to the provincial workers compensation board based on the wages of your workers and the risk associated with the type of work your employees are performing. The bigger the risk of injury to workers, the larger the percentage used when calculating what is due, for example currently in Ontario a worker in a clerical role would cost an employer 0.22% of the worker’s wage in workers comp taxes. However a worker on a construction site in Ontario would mean the employer is taxed at 5.05%. If a worker is injured on the job, the workers compensation board will assign a claim adjuster who will investigate and make recommendations. The workers compensation boards in every province are in place to protect the worker and ensure employers meet health and safety standards. They can be a daunting authority to a U.S. company unfamiliar with the rules and regulations associated with the Canadian Ministry of Labour. Many U.S. companies don’t realize that when their Canadian workers are injured, that they should complete their own investigation and that they have the right to appeal the board’s decision. They also tend to rely on their own legal counsel in the States to advise them on best practises across the border instead of engaging with a professional employment organization in Canada. As seen on thestar.com “Border officials to share travellers’ info with federal government” by Nicholas Keung. Effective summer of 2014, Canadian and U.S.A. border patrol services will start keeping tabs on Canadians and Americans entering and exiting either side of the border. The Entry/Exit program initiative will further increase both countries security and has already begun taking note of third country national’s information including those arriving to Canada on work permits, foreign students and visitors. The Entry/Exit program will be in full effect on June 30 2014, and will be extended to all Canadian and American citizens crossing the border. What Information will the Canada Border Services Agency (CBSA) be collecting and sending to federal departments? How does the Canada Border Services Agency use this information? Simple; data on entry to one country would serve as a record of exit from the other. This information will enable government officials to track illegal activity such as citizens scamming Employment Insurance or child tax benefits programs when they are not in the country. So how does this affect American employers employing or paying Canadian workers? If you conduct business in Canada -and travel there regularly, be prepared to hand over your data to border officials and have it shared between both countries federal departments. If you have a U.S. employee who crosses the border into Canada on a regular basis and is away from their country of residence for long periods of time, ensure that you are aware of the rules surrounding foreign travel as it may not only affect the employee’s and companies taxation liabilities, misuse will result in their inability to cross the border at all. American Employers conducting business in Canada should also be aware of the status of their permanent residency (if applicable) as this will now be tracked under the new Canada-U.S.A. border data exchange program. Permanent residents must live in Canada for a total of at least two out of every five years to remain eligible for the program. If you conduct business in Canada and wish to avoid the complications of your U.S. employees crossing the border to service your clientele here, employing a Canadian may be the best solution. To do so without the complexity of registering a business in Canada and understanding foreign employment law, an Employer of Record Service in Canada (known as a PEO in the U.S.A.) can help. 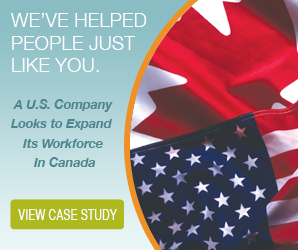 A Canadian Employer of Record takes care of everything for American employers retaining Canadian workers including payroll tax deductions, employment standards compliance and HR management solutions. Contact The Payroll Edge to learn more. These two often go hand in hand in the U.S. and are a precursor to employment but in Canada the rules and perception surrounding drug testing and background checks are very different. Drug testing a potential employee is rarely permitted in Canada and is not worth the legal risk with the Human Rights Commission. Although this issue has seen some press as of late, the majority of Canadian employers are not permitted to maintain policies in regards to pre-employment drug testing and random drug testing during employment. The exceptions are safety sensitive positions where an accident or incident has occurred or where being ‘under the influence’ could cause irreparable damages or death. "Random drug testing of workers that have done nothing wrong is a violation of their basic rights, we will work with Suncor to achieve the highest possible levels of workplace safety with education and prevention, not invasive medical procedures." The practise of drug testing employees is for the most part, considered a human rights violation in Canada. Unlike in the U.S., it is not common practice to run a background check on every potential employee. Although there is no law in regards to this, it is best practice in Canada to only run a background check on a potential employee if they will be engaged in a job working directly with money or highly sensitive information. Many times U.S. companies have run these checks on a Canadian out of habit and end up with a disenchanted potential hire. For those American companies keen on hiring Canadian employees without a good understanding of the rules and regulations to do so, should engage with an Employer of Record (EOR) service for legislative and legal compliance. 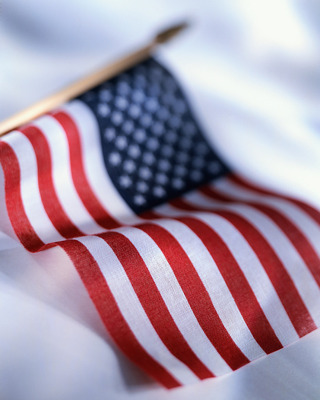 Canadian EOR's (known as PEO's in the United States) can ensure seamless integration into the Canadian market without the daunting task of understanding foreign employment compliance. Contact one of our Employer of Record specialists. Every province and territory in Canada has their own employment standards when it comes to how employers are legally required to engage with their workforce. Unlike in the U.S., Canadian employees lodge complaints and claims against employers who do not adhere to these standards, through their provincial government. In comparison to disgruntled employees in the U.S., it is very rare to see a lawsuit between these two parties as much of the investigation and adjudication is through this Canadian governing body. With this in mind, employers need to understand that an employment agreement not only outlines the duties and responsibilities of the worker but can also protects them from certain liabilities. A health and safety policy should not only talk about the employers responsibilities but the expectation that the employee is committed to following these rules and regulations. Health and Safety is everybody’s responsibilities. These are only a few of the policies that should be included in an employment agreement and as you can see, are important pieces of ensuring that both parties are on the same page when it comes to rules and regulations. Both the employer and employee need to sign an employment agreement indicating their understanding and acceptance of the information contained within. An Employer of Record can handle all of these details for you.